9 pm on Channel 31/Digital 44. McBride discovered expat Australian singer-songwriter-guitarist Jedd Hughes but not Kiewa Valley belle Gretta Ziller who returns to the show repeated Monday at 8 a.m.
Golden Guitarist and Peel Valley singer-songwriter-mentor John Krsulja also appears on the program filmed and edited by Laith Graham. Tennessean gospel outlaw Cody McCarver and Kentuckian bluegrass bard Tyler Childers perform in Behind Bars. And Maryland born Osborne Brothers debut with a summer preview. 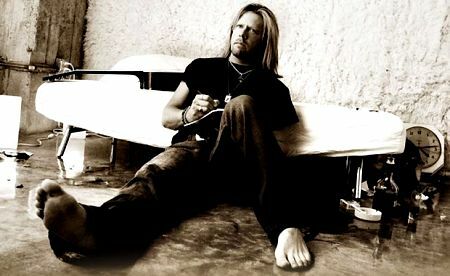 Terry McBride scored major exposure in Australia when he recorded six albums with chart topping band McBride & The Ride. But he also won praise for mentoring Quorn born Jedd Hughes at South Plains Music College at Levelland in West Texas. Terry, now 59, produced Hughes debut solo disc Transcontinental and wrote more than 80 songs with him that earned healthy royalties. He returns to Nu Country TV with Hotels And Highways - a reality rooted reflection of his live career and apt title track of his new EP that features all originals. “If you've been fortunate enough to go and tour - and I have since I was young - I've lived on the road off and on my whole life," McBride revealed. His recording rebirth was inspired by fellow Texan Delbert McClinton. “I went on a little trip to Mexico with Delbert McClinton,” McBride explained. “He's just one of those guys that I respect so much as an artist. He was on me about wanting me to do something musically. I didn't really do anything about it. It took me about ten years. It sort of stuck in my head. Then, I came over to this company, MV2. Tony Harrell and Clay Myers were adamant about helping me and encouraging me to do something. I loved that they were so excited and interested. I just didn't have the song. Suddenly, one showed up. I sang a scratch vocal one day for Hotels and Highways . That's what kicked things off." McBride has written hits for fellow Texans George Strait and Kenny Rogers, singing actor Reba McEntire, Georgian superstar Alan Jackson, Brooks & Dunn , Garth Brooks and many more. Terry wrote Brooks & Dunn's last chart topper Play Something Country and If You See Him/If You See Her - a song they recorded with Reba. His song-writing career ignited after the duo recorded his song I Am That Man . A close writing relationship with Ronnie Dunn resulted in over 20 of his songs being cut by the duo. “Ronnie comes to me, and says ‘I got my own bus, and I'm headed to California , come on and let's go,'" McBride revealed. "We ended up writing 10 songs in 15 days, including He's Got You . That just led into 13 years of my life. Ronnie was very adamant about ‘If the bus rolls, be on it,' and we had a lot of fun." CLICK HERE for a Jedd Hughes-Terry McBride feature in The Diary on January 20, 2005. Nundle singer-songwriter John Krsulja returns with a new video for a paternal paean penned with Cronulla school teacher-singer-songwriter Luke O'Shea in 2014. They shared 2017 Heritage song Golden Guitar for Old Man's Shed - a song inspired by their dads. It's the fifth single on John's debut album Travelling and features backing vocals by Katrina Burgoyne. He filmed it in the historic 110 year old Wombramurra Woolshed on his Dag Sheep Station at Nundle near Tamworth with his daughters Brooke and Jade in cameos. It was produced by expat Scot Karl Broadie who also lived in Nundle before he died at just 44 from cancer on April 19 last year. John K also appeared on Nu Country with Billy - his fourth single written in 1992 long before Karl helped rewrite the chorus and appeared on backing vocals with Hayley Wilson. His second solo album will be produced by O'Shea who won his seventh Golden Guitar for his version of Old Man's Shed on his Golden Guitar winning sixth album Caught Up In The Dreaming. John K and wife Belinda own and operate DAG Sheep Station at Nundle that hosted Country At The DAG in January and the annual Singer Songwriters Retreat in July. The 2017 Retreat featured Shane Nicholson, O'Shea, Kevin Bennett, Felicity Urquhart, Aleyce Simmonds and Jeremy Edwards. CLICK HERE for a John K feature in The Diary on November 23, 2015. Gretta Ziller returns with the video for the title track of her debut album Queen Of Boomtown. Gretta hails from south of the mighty Murray river at Thologolong near Wodonga in the Kiewa Valley but filmed her video at Dural near Sydney. It was produced and directed by Joyce Ong and Michael Tan of New Heights Media and paints pictures of isolation, standing tall in a metaphorically abandoned place, as the song implies. “When Joyce and I started talking about the video, it was an easy transition, with both of us having a similar idea about the sort of outdoor location we wanted to shoot, the grand piano, the crown, the whole lot,” Gretta revealed. The album was recorded at Woodstock Studios , Balaclava, and produced by New Zealand born, Melbourne-singer-songwriter Paul Ruske. “Working with Paul was the most amazing experience,” explained Ziller who earlier released two EPS. “Not only is he such a beautiful person and talented musician, but he understood me and what I wanted with this record. I approach my songwriting a little bit like a bower bird. 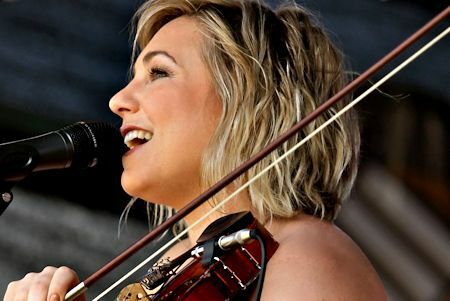 Gretta, a 2011 CMAA Academy Of Country Music graduate, dabbled in musical theatre after learning violin, cello, double bass and bagpipes as Pipe Band Coordinator at Scots School, Albury, where she studied from 2004-2010. Ziller headed south to Melbourne where she graduated with a Bachelor Degree in Voice while in Trinity College Choir (2000-2002) before overseas tours. Singing actor Cody McCarver survived purgatory in a colourful career that includes acting roles in westerns Cole Younger & The Black Train and Billy The Kid. Cody's video for Rise Up is a perfect Behind Bars live segment - it was inspired by his Tennessee church raising and death of his dad in jail. Rise Up is on his third album that features Sing Hallelujah and No Such Thing as a Miracle . Lionsgate Films signed Cody to make a Docudrama about his life and his dad's time in prison - several hours of footage was filmed in the jail with Cody and his father before his death. 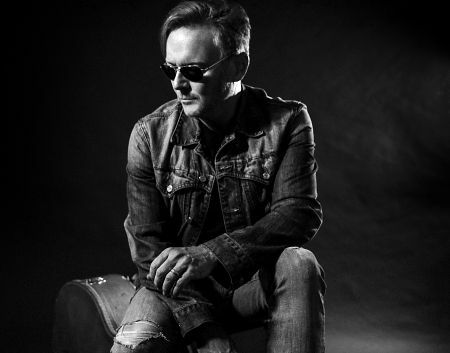 Cody's country career began as bassist for Lynn Anderson before 12 years with Confederate Railroad - one time backing band for former convict outlaw country star David Allan Coe. He had major solo success with Red Flag, Redneck Friends of Mine and Through God's Eyes, written about his father being in prison. 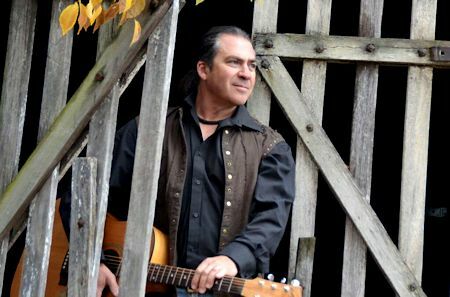 His solo music - an eclectic mix of country, gospel and Christian - featured Colt Ford and Oak Ridge Boys' singer Richard Sterban. “Like a lot of people I thought that church people were just a bunch of hypocrites,” Cody recalled. When Cody was almost nine he started playing piano in a little mountain church in hometown Dunlop as a member of a Christian and Gospel Music band. In 2010 he returned to Christian music. The title track of Cody's first solo album The Lord's Will is an emotional journey about his father - he mixed old hymns and five originals including Believe, Hey God and I'm Gonna Meet Jesus . His 2015 second album featured inspirational songs I'm Forgiven, Here Today and Hey God . 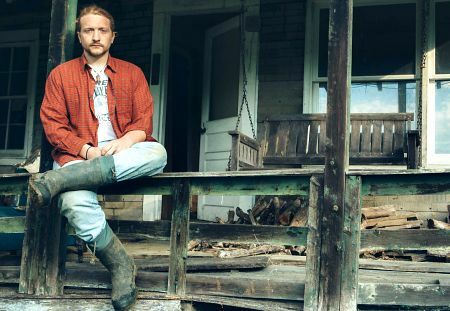 Tyler Childers first scored exposure on Nu Country with his song Harlan Road performed by bluegrass state band Newtown. This time the East Kentuckian, 26, performs Whitehouse Road from second album Purgatory , produced by Sturgill Simpson and David Ferguson and released on Hickman Holler Records on August 4. "I was just thinking about this dude I worked with - his tall tales and flat-out lies and how much of a wild cat he was," Childers revealed of Whitehouse Road that he wrote six years ago. "He was an interesting character, but I always tried to steer clear of that when I was living back home, as far as getting into that much orneriness. Then I ended up moving to Lexington and getting into different kinds of orneriness, but orneriness nonetheless. I ain't too much different. Same game, different baseball field." Childers recorded Purgatory in a few days at the Butcher Shoppe studio with Simpson on guitar and vocals, Miles Miller on drums and background vocals, fiddler Stuart Duncan and multi-instrumentalist Russ Paul. "I'd already had two opportunities to record these songs on my own. So I stepped back and let it go where Sturgill thought it needed to," says Childers about working with Simpson. "I didn't come into the studio with a lot of expectations: 'This is going to be this way, this is going to be that way.' I obviously wouldn't have needed him if I was going to be like that. On Whitehouse Road he suggested we slow it down and get it into this groovy pocket, and I said, 'Alright, let's see what it sounds like.'" Purgatory is about navigating those roads, and making choices that could just as easily lead to desolation and destruction as happiness and salvation. "A lot of these songs were written in the time between leaving my mother and father's house and finding that middle ground," Childers explained. "Getting into trouble and finding the way out of it, finding where you are supposed to be. Finding your place. Purgatory is hell, with hope. You have a fighting chance." 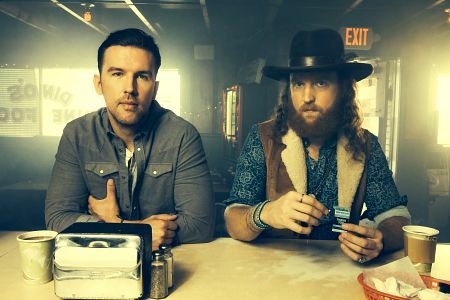 Brothers Osborne - John & T.J. Osborne - moved from Maryland to Nashville as songwriters and debut with 21 Summer from their first album Pawn Shop, released in January . young man walks along train tracks and is offered a ride by a woman. The man takes a job at a local bar where the Osbornes are playing. Although he is falling for the girl it becomes clear she has a darker past - and present. “ 21 Summer is one of those songs that a lot of people can relate to,” says T.J. Osborne, 32. Pawn Shop reached #3 on Billboard and also included their top 4 hit Stay a Little Longer .